If you want to another species of panda, read the following red panda facts. Red panda is always associated with black and white giant panda. It has the ringed tail in the length of 18 inches or 46 cm. The tail is very important to give them protection when living in a chilly region in the mountain. Look at more facts about red panda in details. 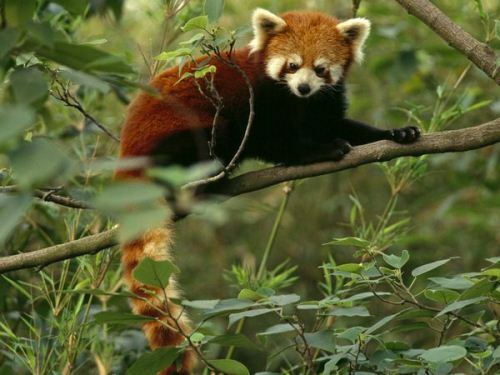 The habitat of red panda is more various compared to other types of panda. They like living in a high altitude region. They can be seen in Burma, Mountain of Nepal and central China. See giant panda facts here. Most red panda time is used to sleep and eat tree. 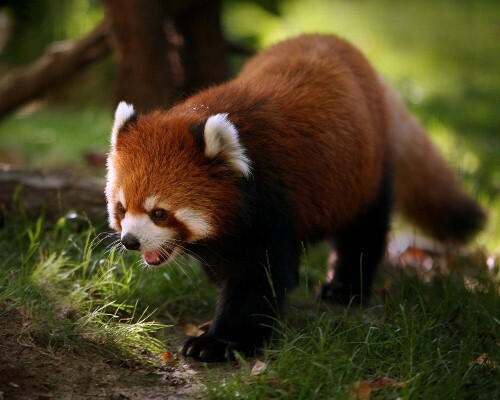 The red panda can be seen in active mood when the gloaming hours come at dawn, dusk and night. Most pandas only eat bamboo. 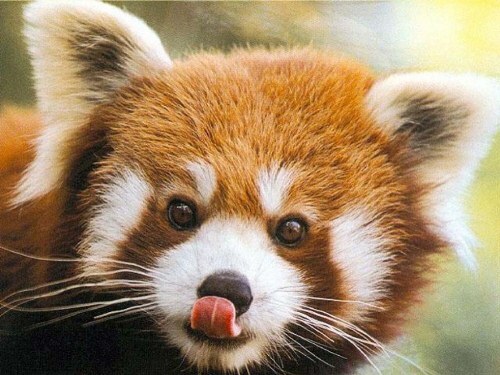 It seems that red panda has different sense of taste. They like eating bamboo and other types of food such as eggs, roots, acorns and fruit. Find panda facts here. Let’s compare red and giant panda. Both have similarities if you look at their wrist bone. The main function of this bone is used for the grip movement and function like a thumb. Red pandas are very shy when they mate. The animals are considered as solitary ones. The female red panda will deliver the off spring when the spring and summer season comes. They can have one to four baby pandas. The young red pandas have to stay in the breeding site for about 90 days. The mother red pandas are in charge of the cub rearing activity. The male red pandas do not care about the baby. A red panda is unique. The animals are included in the family of Ailuridae. It has close relation with giant panda. You can also link it with raccoon because both have ringed tail. The conservation status of red panda is in endangered animal. They are considered as a victim of deforestation. Many forests have been used in agriculture. Red pandas only have limited place to live. Now let’s talk about the physical appearance of red panda. 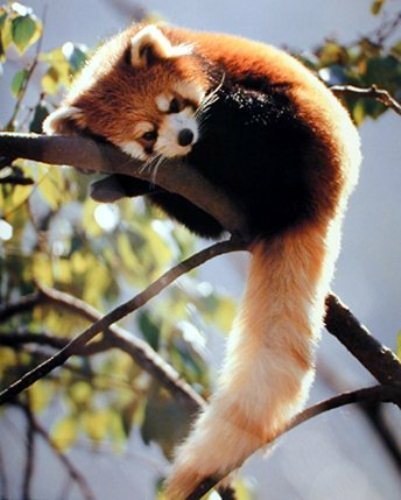 As its name suggested, the red pandas have red color with black and white marking. The black color is seen on the bellies and legs. The soles of the feet have fur which can keep them warm. Red pandas will use at least 13 hours to search and eat food. 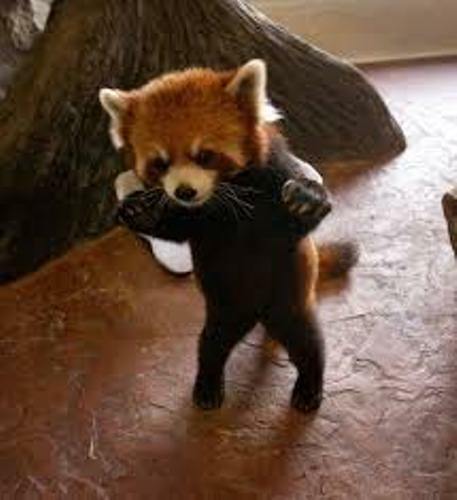 Red pandas have similar weight like a raccoon. In average, they have the weight around 7 to 14 pounds. The length is around 20 to 26 inches. Their lifespan is around 12 to 14 years. Do you want to comment on facts about red panda?